Naomi Hannah has been blind since birth. Struggling with living in a small, claustrophobic town, Naomi contemplates ending her life. But then she stumbles across the body of a young woman who has been brutally murdered. She senses someone else there at the scene – watching her. Naomi may not be able to see the killer’s face, but she is still the only person who can identify him. As the police begin hunting the person responsible and more victims are discovered, Naomi is forced to answer the question on which her fate hangs: why did the killer let her live? 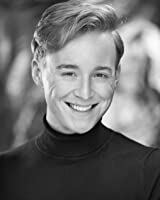 Jack Jordan is the global number one bestselling author of Anything for Her (2015), My Girl (2016), A Woman Scorned (2018), and Before Her Eyes (2018). 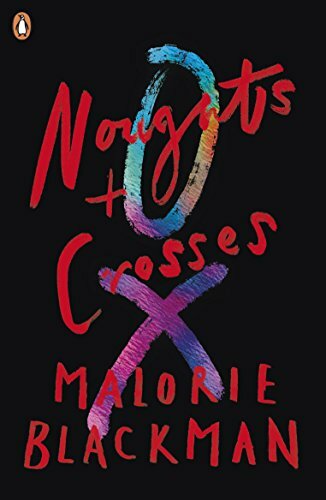 The book that stands out the most for me is actually from my teens: Noughts and Crosses by Malorie Blackman. This was the book that ignited my obsession with reading. I loved reading before, but this made my life revolve around books. It’s one I’ve read multiple times and would still read again and again. 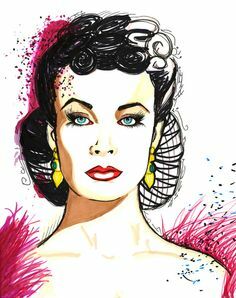 Scarlett O’Hara from Gone with the Wind. She’s selfish, cruel, and cold-hearted, but I adore her. She is so strong and determined, and defied all gender norms from her time. The ending will stay with me forever. The publication of Before Her Eyes has been a very special journey for me. It is my first book to be traditionally published, after independently publishing Anything for Her and My Girl. The experience has been so informative and inspiring. Writing Before Her Eyes has really helped me hone my craft, and it will always have a special place in my heart. Do you get an emotional connection to your characters? Absolutely. My protagonists are usually a part of me in one way or another (USUALLY – in case you’ve read my novella A Woman Scorned and think I’m a psychotic killer, haha! ), so I’m very protective of them. I’ve been known to create my perfect man on the page and swoon, shed tears at heartbreaking moments. If I found myself not becoming emotionally involved in my characters, I’d be concerned that the story wasn’t the right one to tell. Fingersmith by Sarah Waters. I cannot recommend this book enough (in fact, I recommend it every chance I get). Part historical, part crime, part love story, all set in Charles Dickens’ London, with the best ‘twist’ I’ve ever read. AMAZING. You Left Me in the Dark by Elvis Costello. I love thrillers, but reading them reminds me of my work, so there is an analytical element to reading them now. My favourite genre to read for pleasure is actually historical fiction! ‘What is your favourite book of all time, and why?’ – I love knowing people’s favourite reads (although it doesn’t help my horrendously large to-be-read pile). My next novel Night by Night, which is published in 2019. When a mother with insomnia causes the death of her daughter, she wonders if she’ll ever be able to get her life back on track. But when she finds a journal with a man’s writings of being stalked, a man she likens to the younger brother she lost many years before, she vows to unearth the truth of what happened to him, night by night. Little does she know, there are people in the town who are willing to do anything to keep her quiet.